another applicable word would be manvalanche. 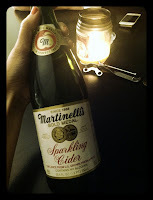 now, one of my roommates obtained a bottle of said bubbly around christmastime. let's save it and drink it when something exciting happens! poor bubbly had collected much dust. it was a symbol of sadness and singleness, it was. and we partook of the bubbly. 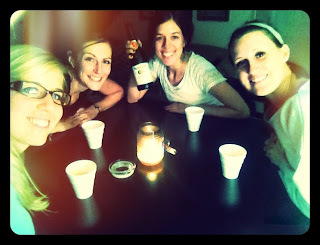 the roommate who experiences the exciting event that spurred the drinking of the bubbly must purchase the next bubbly. but would it be another 3 month wait? would we all be kept so dateless as the long, bleak winter? there's been a whole lotta cause for bubbly up in these parts. perhaps the summer sunshine is driving them boys into a frenzy? i wish i could share our juicy stories. but the public internets is no such place. if anything long-term pans out for any of us. go get yer own bubbly. lol. you are such a dork! bahahaha! at first, i read, "go get your own HUBBY. highly recommended." hahaha. but...that's apparently not what you said. fun! I can drink an entire bottle of this bubbly on my own but sharing it with girlfriends is way better. Have you tried the flavored martinelli's? The grape is my favorite!